Susann works with adults, couples and families. I try to ensure that my clients feel respected and heard when being in session with me. Looking at exceptions and strengths is a big part of that as it opens our eyes to solutions that are already working. It instils confidence in our own ability and is a way of thinking that will be helpful in any situation that presents itself as difficult in the future. I always try to ensure the client finds an as open as possible environment to talk freely about anything and feel comfortable and safe when discomfort arises. My main aim during any session is that my clients take note of their own often extraordinary strengths and find or regain the trust in themselves to be able to get through difficult situations and come out strong and maybe a bit wiser on the other side. My approach to working with any client coming to see me, be it a family, a couple or an individual is getting to know and understand each one of them and their unique perspective. I will always invite discussion around context because I believe nothing exists in a vacuum. For example anxiety may exist in one context but not in another. Looking at the presenting concerns this way allows me and my clients to investigate the ins and outs of what it is that brought them to counselling and how they would like it to be different. I believe that the answers are often within my clients and it is my job to assist them in uncovering them through questions, exercises and open discussions. The same goes for looking at the context when the problem doesn’t exist. What is different then? Who is around? How does the family, couple, individual manage then? What makes it easier under those circumstances? Finding the client’s strengths is a central part of my work as these are the tools readily available to the client to use to their advantage when dealing with a tricky or difficult situation. When working with a client I will always check in to see how we are going and if what we are talking about is still relevant to the client’s goals they came to counselling for. 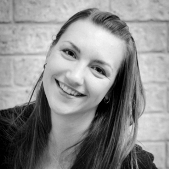 Susann Bruechle has a Diploma of Professional Counselling (Australia) and Rehabilitation Psychology Diplom (Germany). Susann is a member of the Australian Counselling Association and registered with the Australian Register of Counsellors and Psychotherapists. To find a psychologist or to book an appointment time with Susann Bruechle, contact us today.